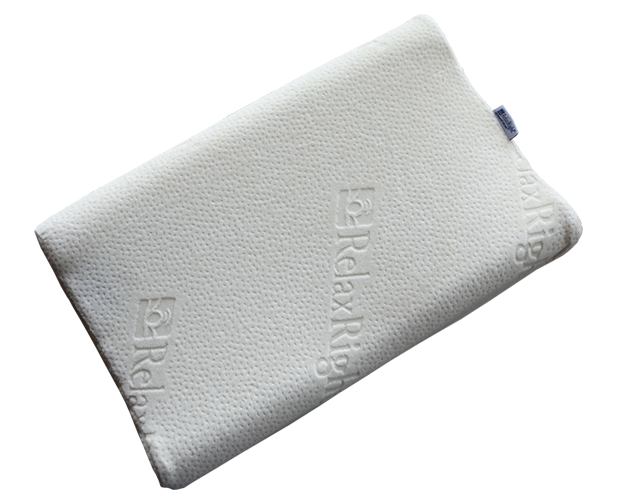 Why are Relax Right pillows better? 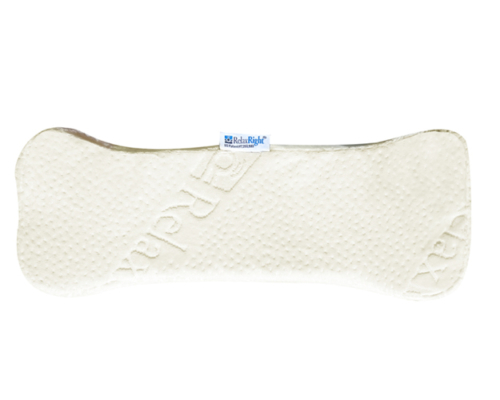 More Comfortable: In addition to being shaped correctly and the relaxing hammock effect of the hollow core, Relax Right uses two types of pressure relieving memory foam allowing it to be more supportive under the neck area and softer under the head and face area for ultimate comfort. 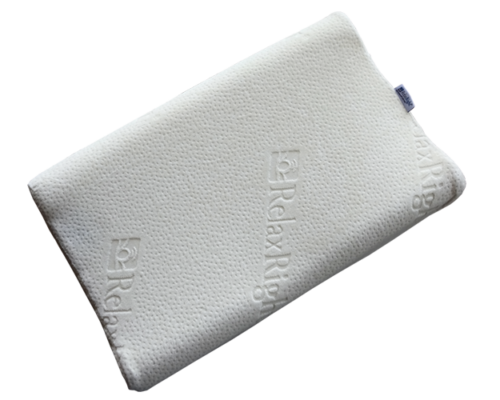 Fits More People: The Relax Right Pillow is multi-directional and multi-positional with four unique sides and up to 8 choices for side sleeping and 8 choices for back sleeping. 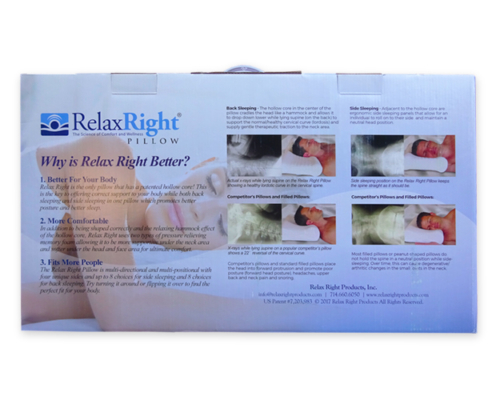 Try turning it around or flipping it over to find the perfect fit for your body. 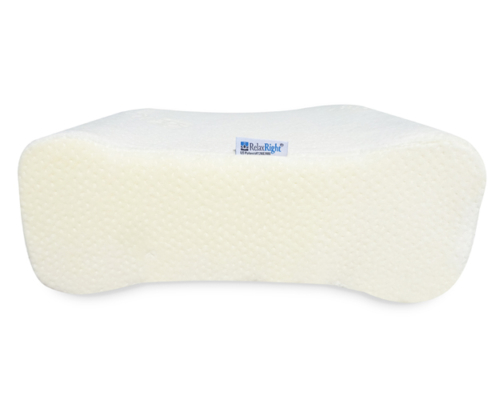 Technical Description: The front cervical roll combined with the traction core, allows the head to cradle back into the core conforming to the normal lordotic curve of the cervical spine while supplying gentle traction. Patented Multi-Position Design Offers up to 16 Sleeping Position Options. 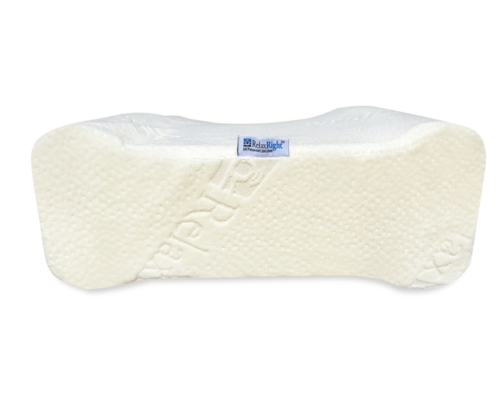 Combines Types of Premium Quality Memory Foam – NOT Shredded! 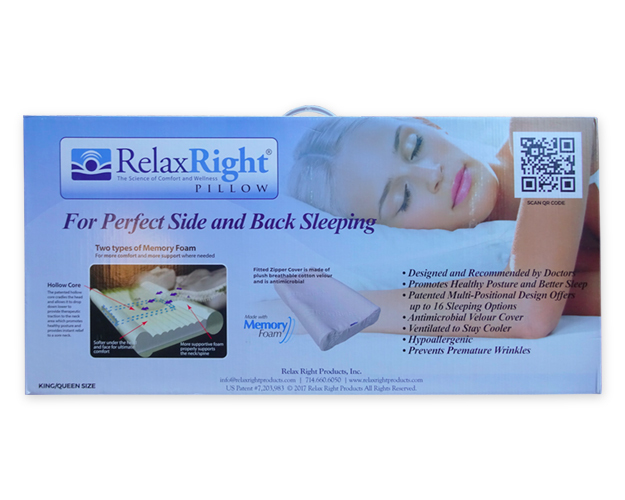 Perfect Back Sleeping and Side Sleeping in One Pillow! 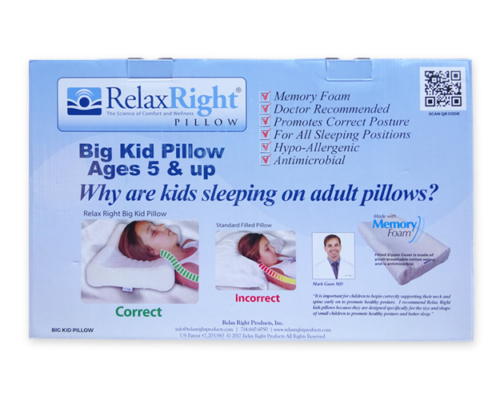 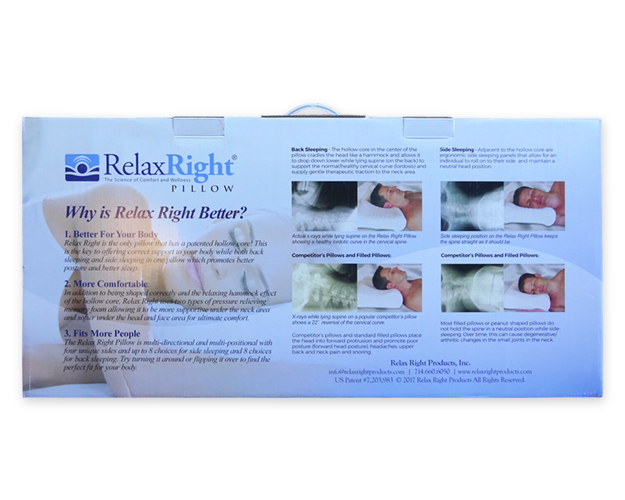 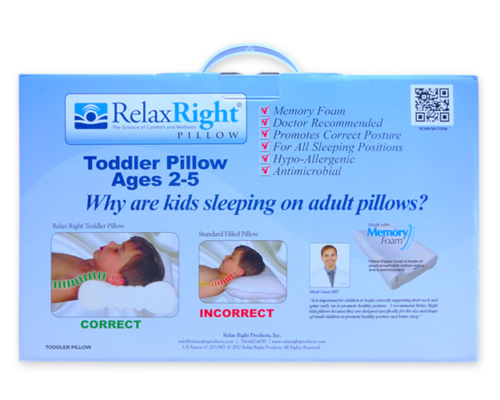 The Relax Right Pillow is Patented! 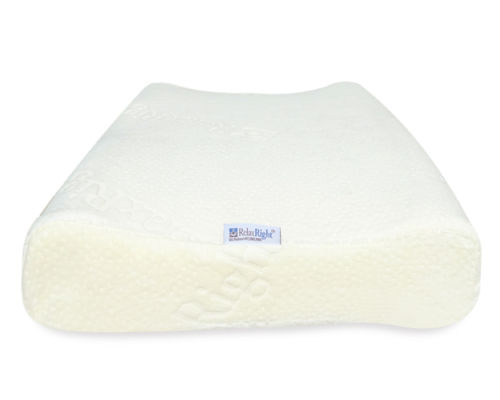 It features a hollow core (technically a “Traction Core”) which allows for gentle axial traction of the cervical spine while back sleeping.